Eczema is part of my life. I have become consumed by it. I have literally hit the ground running into battle. The battlefield unfortunately is the body of my innocent 3-year-old son, Tristan. He was diagnosed with baby eczema at 3 months of age when we first saw the obvious signs, dry itchy skin patches, but I’m rather sure he has had eczema since birth. He’s never had that super smooth, velvety soft skin most babies have. Not the lovely skin his sister was luckily born with. Our general practitioner at the time prescribed some cortisone to apply to Tristan’s small dry patches. This really seemed to help keep the eczema at bay until we gradually weaned him off of it, as the doctor recommended, and then we were back to square one, as if we hadn’t done a thing. We tried many different over-the-counter and prescription creams, but nothing cured the eczema, just helped it from worsening. Since his eczema was really mild, we weren’t too concerned. Then April hits, a month we’ve come to fear – because each April, Tristan’s skin gets drastically worse. We’re not exactly sure why, perhaps it’s just the changing of the seasons, like we’ve heard so often with eczema. Perhaps it’s a seasonal allergy thing as we have found he is allergic to birch. Whatever the trigger, it’s not pretty and every April now makes us nervous. It’s around this first April that Tristan also had his first asthma attack. He continues to have asthma attacks to this day, but only when he develops a virus or cold and during tree and ragweed pollen season. Tristan’s skin very gradually continued to get worse. We spent fortunes on different creams that only helped slightly, but it was better than nothing, which we also tried. We decided to have Tristan tested for allergies via skin and blood tests, just after his first birthday. The results indicated he was indeed allergic to some seasonal things, dogs, cats, as well as walnuts. (interesting because I ate handfuls of walnuts daily while pregnant with him). He was tested for dairy, wheat and all the other common food allergies, but all the results were negative. Although milk didn’t appear to be an allergy for Tristan, we were still advised that dairy products can be a big trigger for eczema, so we started substituting with rice milk and vegan cheese. Then after several months of use we found out rice milk naturally contains traces of arsenic. What?! You mean we were poisoning our son? That’s a bit over dramatic, as the traces are minimal, but still, arsenic…crazy! We obviously had to move on to another milk source and chose soy. Then I heard about all the estrogen and other harmful qualities of soy when ingested in large quantities, so that was short lived as well. We stumbled upon almond milk and hemp milk. So far we’re happy with these, but we have to be choosey with our brands as many contain allergic ingredients. Who knew it was going to be such a challenge to find a safe “milk?” Any of these milk products are wonderful for most adults and ok in normal quantities, but toddlers consume so much milk that they are more at risk for any negative side effects. April just before his second birthday hits and BAM, it’s worse, much worse. 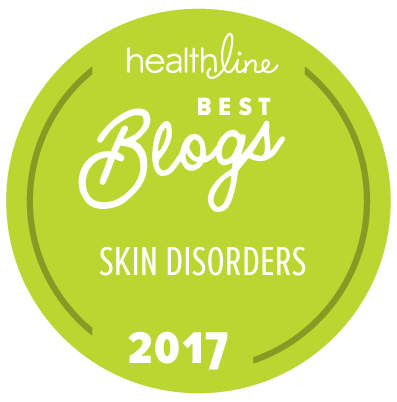 It’s time to get more serious about this skin condition. The creams we’d been using all of a sudden start burning his skin. He cries. I cry. Eczema is so sad. I declare war. We started seeing a pediatric dermatologist who after a quick glance at Tristan’s skin, agreed he’s got a “pretty good” case of eczema and immediately prescribed cortisone in a stronger dose than before along with bathing only twice per week with mild soaps. I asked her if food sensitivities, maybe not true allergies, could be the cause for my son’s eczema. She said she was absolutely sure it had nothing to do with allergies because it didn’t “look” like the kind of eczema that was related to allergies. We stick to the prescribed treatment program to the tee, with one exception. She gave us a prescription for an oral anti-histamine in case he was itchy, but thankfully Tristan hadn’t been itchy yet, so we put it aside. His skin magically improves when we follow the recommendations. IT’S A MIRACLE! Then we slow down and then fully stop the cortisone after two weeks, as prescribed. Crap. His skin suddenly got worse. Much worse. How did this happen? We went to a follow-up appointment where the dermatologist prescribed stronger cortisone and for a longer time. Wait, at the last appointment didn’t she say that they don’t recommend cortisone treatment for longer than two weeks? Why is that suddenly ok now? It may work wonders for some, but cortisone didn’t seem to be the solution for us, so we moved on. Desperate for answers we started seeking out alternative medicine and practitioners in hopes of a new tactic – curing him from within. We decided to treat the cause (hoping we could find it first), not the symptom. We saw a homeopath, osteopath, acupuncturist, NAET practitioner. No change in his eczema. We didn’t lose hope. We couldn’t give up on Tristan. We found support groups, parenting groups on Facebook, all with stories similar to Tristan’s. It was great to learn and share with other parents going through the same thing. It motivated us – if they could find a cure for their child, maybe one day we could to. He developed his first, and only to this day, infection. Overnight his skin developed large, red, very scary looking bumps. The doctor prescribed anti-biotics, which started working right away. We were lucky it was just a staph infection and it only happened once. Children with eczema are prone to infections and some can be really severe, like MRSA. Read the rest of our story in part 2. I am writing from Hong Kong. I would say I enjoyed reading your page, but I can’t because it was so sad hearing again what you all have been through. Thankfully it sounds better now that he is not ingesting almonds. (Your Mom told me.) Hope my nephew’s wife contacted you. Her name is Sonya Respess and her son Daniel suffered with similar problems for years, but is doing much better now. I was hoping she would share some of the things she learned with his problems. I hope you’re having a great time in Hong Kong! Yes, our story seems pretty horrific to anyone that hasn’t had to deal with severe eczema, but sadly, there are too many kids going through the same thing as Tristan. I haven’t heard from Sonia yet, but I hope to soon. I’d be very interested to hear her story. Congratulation on the lauch of “itchylittleword”!! It hits home on every single level. I also have a 3yr old little boy, Cohen, that’s suffering from Eczema. And like you & your family, I know the frustration first hand. It’s some what comforting to know I’m not alone. And I look forward to Part 2 of this story. Thanks for sharing! I definitely agree, although it’s terrible any child has to suffer with eczema, it is nice to know we’re not alone. Thanks so much for your comments! Two suggestions: bleach baths and see the people at National Jewish in Denver, CO. They “cured” my friends little boy of his bleeding excema. Give them a call. You won’t be sorry you did! Hi Jenny – Thanks so much for the suggestions. We have tried bleach baths and they did seem to work pretty well for us. We use them as needed. And NJH, funny, because we did call them at one point for advice. We were on the verge of going to see them, but then we luckily found one of Tristan’s major triggers – more to come on that in the second part of our story. They are wonderfully helpful at that hospital. It’s amazing what they’ve done for so many families. There just doesn’t seem to be any eczema program like it anywhere in the world, from what I’ve heart. I hope to write a post about them, or better yet, have one of their nurses or doctors write a post on this blog. They really are doing great things. oh wow, your story sounds very familiar! Today we are still battling with it. Sorry to hear you have had these troubles but i am so glad you are blogging about it and sharing. Hi Lee-Ann, Great to hear from another parent battling with eczema (although I wish no one had to go through this). What is your story? How old is your child? Do you know their triggers? Thankfully we discovered most of Tristan’s, as you’ll see in part two of the story tomorrow. That has made a HUGE difference in Tristan’s condition, so we are grateful! Hi Amber – I’m so glad calendula is working for you! My son’s skin ended up being triggered by many food allergies, plus heat and detergents (we switched to soap nuts). Calendula works ok for him. We usually end up alternating creams, but I found a new product I’m going to start carrying in my store from Sweet Knee – the bun glaze is supposed to be fabulous and I love simple, pure, organic ingredients. Thanks for sharing what works for you!!! Thank you so much for sharing your great, informative post on Allergy-Free Wednesdays! Your story about eczema will be so helpful for others seeking answers. Be sure to check back next week for post highlights (including the top 3 reader choice submissions and hostess favorites). Girl, I feel for ya. My boy suffers from allergies, including skin issues that seem to come and go at a whim. We’ve been through every cream, lotion, detergent, soap, allergy testing, etc to try to find the cause. We’re still trying to find a pattern. One of the best things I ever did was take him off of wheat. After years of nebulizer treatments, inhalers and steroids, he is now (almost) asthma-free. Conventional testing does not always show sensitivities, only allergies. Best wishes in finding a protocol that works for your sweet lil’ one. Let me know if I can be of help. Hugs to you and you son! It’s so hard finding the triggers – incredibly frustrating. Wheat is a big one for our son too. We found out early on that allergy testing wasn’t reliable, so we did a full elimination diet for him and it cleared his skin right up! When we added the foods back in we found what was causing the issues. It was hard, but so worth it! Funny what you say about your son’s asthma – my son’s is gone now too. He hasn’t had an attack since this summer, a couple of months after we removed all his food triggers from his diet. My son’s asthma was triggered by colds and viruses though – was yours? So, happy for you that at least the asthma has improved! Broke my heart to read about how much Tristan & you all have suffered. Thanks for being so open in sharing your struggles and helping resource other people in similar situations. Sebby’s eczema was never as severe as Tristan’s but we have really valued hearing about your experiences and reading about your recommendations for products, etc.. 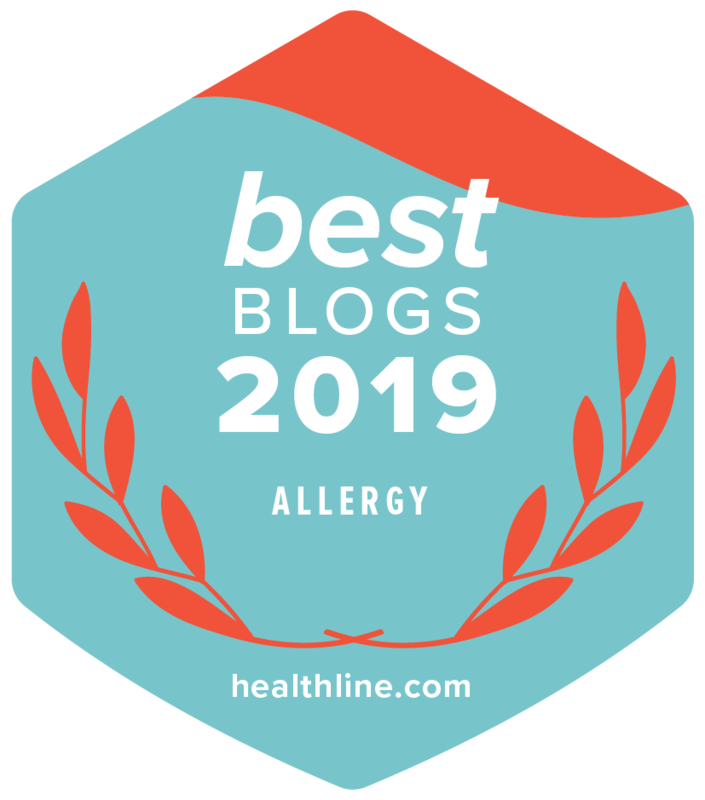 I was interested to read your comment about eating walnuts during pregnancy – I had a craving for nuts during the last week of pregnancy, ate lots, and coincidence or not, my daughter has developed a nut allergy…. I hope you find what works for little Tristan. My heart goes out to you all. Eczema is so hard to manage & finding the triggers in my own 2 children (7 & 2) has been a mammoth task, 2.5 years in total of dedication, determination & a NEVER give up attitude. Every part of our life became about finding them a path to happier itch free days & nights. Both suffered terribly & we struggled through many, many days & nights. Itching, bleeding, wet dressings, no sleep, infections…it almost drove us all crazy. I have 2 of the most amazing, strong little people who I am so proud of. Life for them has not been as carefree as it is for most kids their age. Everything is carefully planned from meals & outings to birthday parties & visits to friends houses or a walk to the park, always planning & plotting to try & avoid an eczema flare that can mean days & nights of agony! We now manage the eczema very well. Not cured but manageable. Occasional mild flares but we have found what works for them. Everyone is different but we have changed their lives & ours! No miracle creams or cures just a new approach to life. We now do many things that combined work wonders for their skin. No chemical cleaners in our house, no fragrances in cleaning & personal care, sensitive skin wash powder, dust mite control (dust mites can aggravate eczema), good whole foods – never highly processed, avoid the foods they are allergic to (egg, dairy, fish, possibly nuts-testing Nov), no additives & low natural chemicals(salicylates, amines, glutamates). We use treatment creams when required but all other emollients are basic with no harsh ingredients. Basically if it goes on their skin, up their nose or in their mouth it goes under our microscope first…& it works! When spring rolls around our youngest is prone to pollen flares so we dont line dry his clothes & try to control the pollen producing plants in the back of our property. 2 years ago I could not see light at the end of the tunnel & felt hopeless & helpless seeing our kids constant suffering….now we are living a normal life, it took a lot of work to get there & requires a lot of work to stay there, but the results are so worthwhile! Good luck & keep up the good fight! You & Tristan are in my thoughts. It is crazy to read this post even tho it was so long ago but for me it seems as tho I could write this very same story right now. Started at 3 months old, this April has wreaked havoc on my now 22 month old sons skin and the itching just started. Im truly afraid to see what happens in these next few months if we don’t find the cause. Its especially hard since I work four days a week and he’s at daycare with a one to seven ratio so he’s not monitored as closely as he should be. If nothing comes back from the allergy testing and/or things start getting worse I have no choice other than to quit my career and work hard at figuring out my baby’s cure. Can I just say that I very much HATE eczema? Thank you so much for taking your time to educate us all on the ins and outs of this awful disease. Your son is so lucky to have you guys! Hi Quianna – I am so sorry to hear you’re going through this with your son right now. Eczema is awful and it takes such a toll. But you know, you will get through it and one day you’ll back and it will be a distant nightmare that you can hardly remember at all. I know it’s hard to imagine now. I would recommend that if the IgE allergy tests come back negative that you either consider something like the GAPS diet or doing the IgG or Alcat test. My son and I just had Alcat testing done last week and we’re currently waiting on the results. I waited many years before doing this because with each thing I changed for my son, he got better. But we’ve finally come to a standstill. While his eczema is better, but still present, his asthma is harder to control. So I know in my heart there are still some undetermined foods that are causing his little body to remain inflamed. So, I do believe the IgG testing could be very beneficial. We waited so long because it is very expensive, but I’m hoping it will be worth it. Fingers crossed for you guys! Keep us posted on his allergy test results. Hi Jennifer my name is Nora My daughter is suffering also for eczema she is 11 years old you mention that you try Naet treatment I start naet also is been a month now I dont see any good result but the doctor who’s doing the treatment he said it takes a while to see the result since my daughter has eczema since 5 years old she start when she going swimming with his cousins. My question is how long did you do the Naet treatment? we live in Sacramento the treatment is quite expensive. Hi Nora – We gave it three months of going twice a week with my son. For me personally, I went weekly for six months. Neither of us saw improvements, but I felt the testing part was pretty accurate.